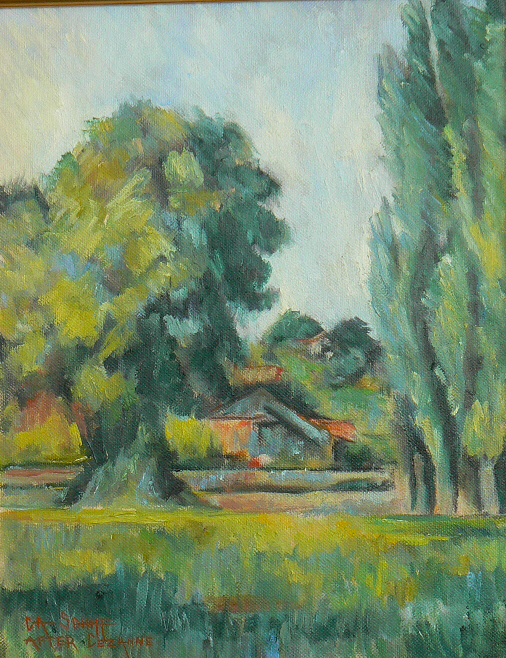 Each week our art group appoints one member as leader. The leader, decides what type of project we will work on that day. A few weeks ago, Faye was our leader, and as her project, she brought it images of VanGogh and Monet paintings for us to re-create. 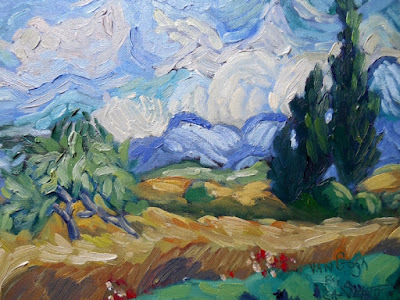 I chose his very famous "Wheatfield with Cypresses" . Actually, I chose one of three similar paintings that carry that name. I have always wanted to give his famous and distinctive swirling brushwork a try. It was an interesting experiment, one that I will probably do again. 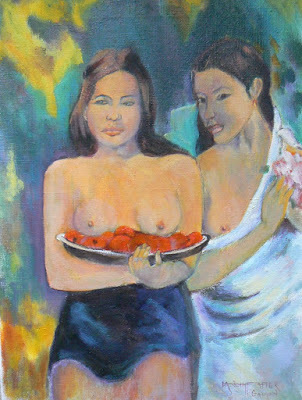 Years ago, I spent some time studying the masters and duplicating some of their works. I found it to be very informative. 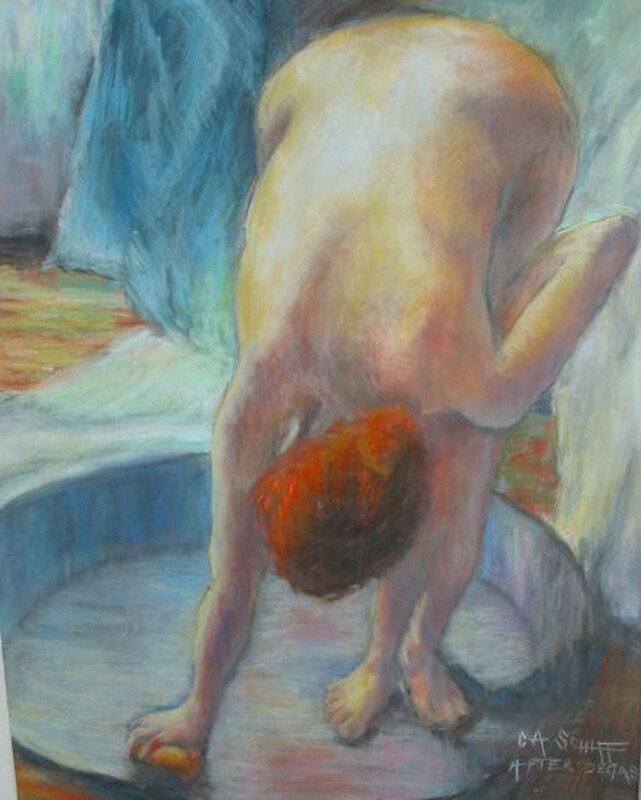 Here is one of my attempts at Degas' work, "Woman Bathing"